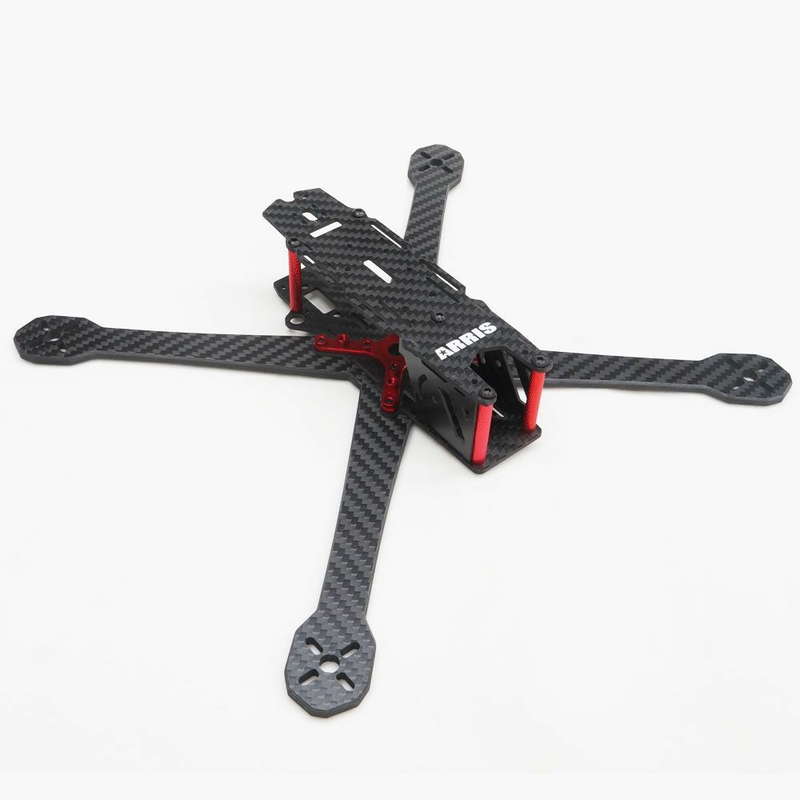 The structure of the X280 is quite simple, but it has high power compacity.With the special camera mount design, diffent cameras can install on this frame and the angle of the camera is adjustable. 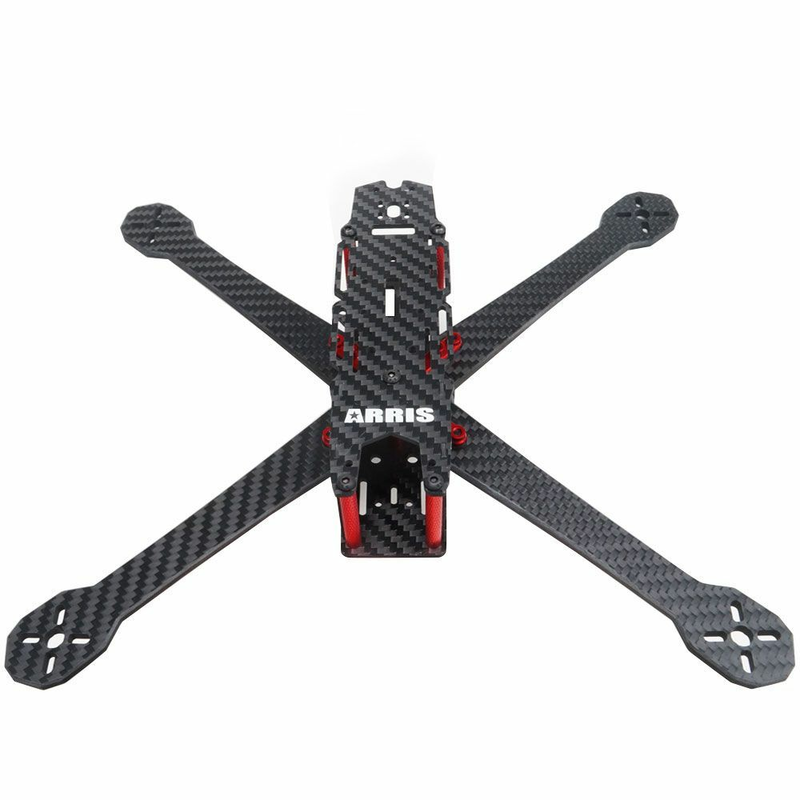 The ARRIS X280 comes with the chamfered edge design on the arm, which gives the quad a sleed look.The ARRIS X280 is made of pure carbon fiber with alloy pats, the arm is 4mm thickness carbon fiber plate. 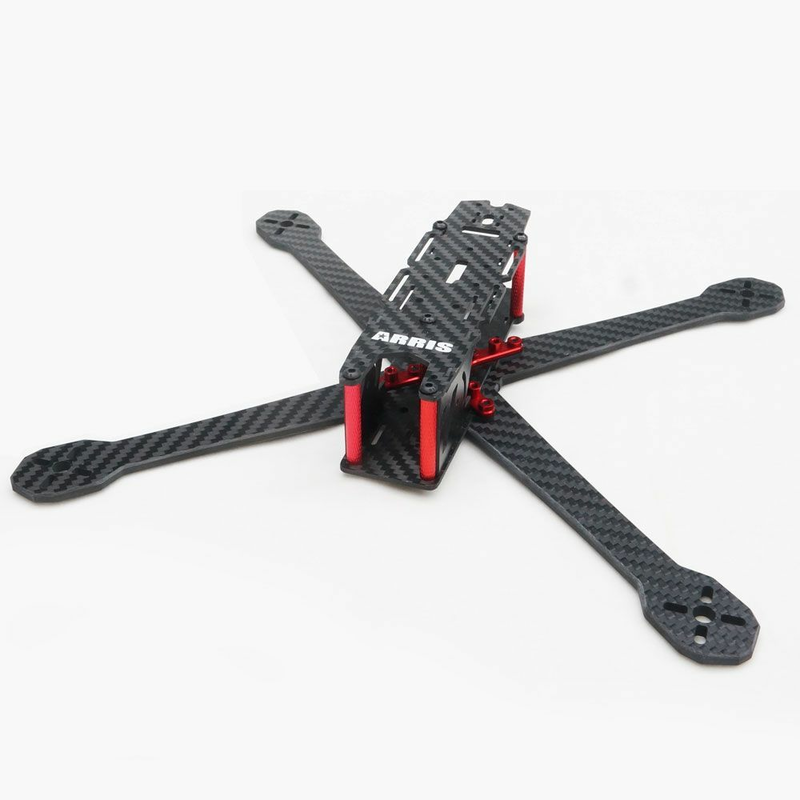 For race edition, this frame is a little heavy, but it is perfect for freestyle. 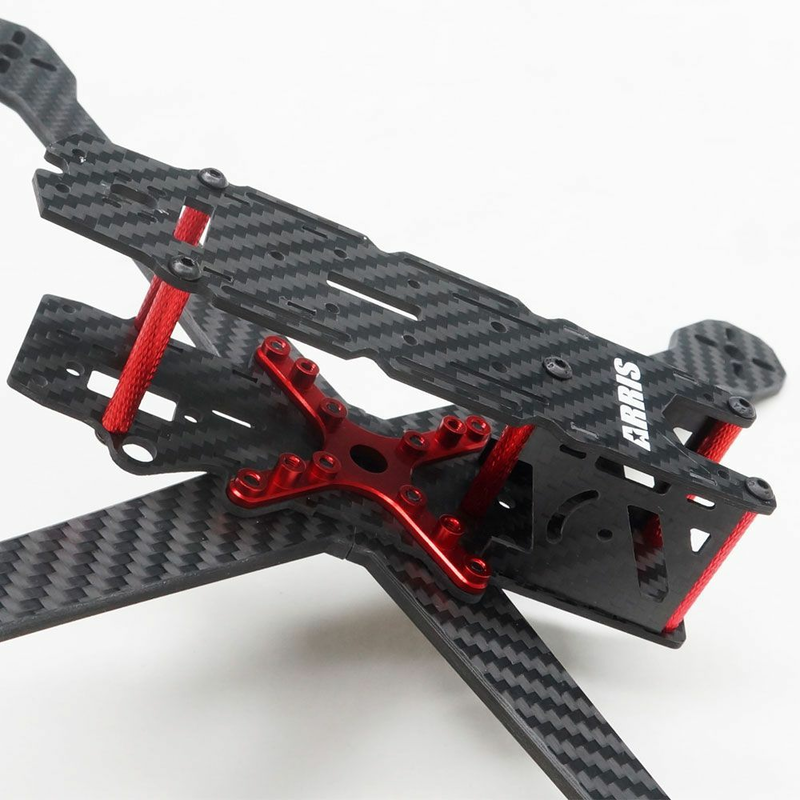 With optional Gopro camera seat and sports camera seat, you can mount the Gopro or other sports camera on top of the frame.The battery can installed on top of the quad or below. 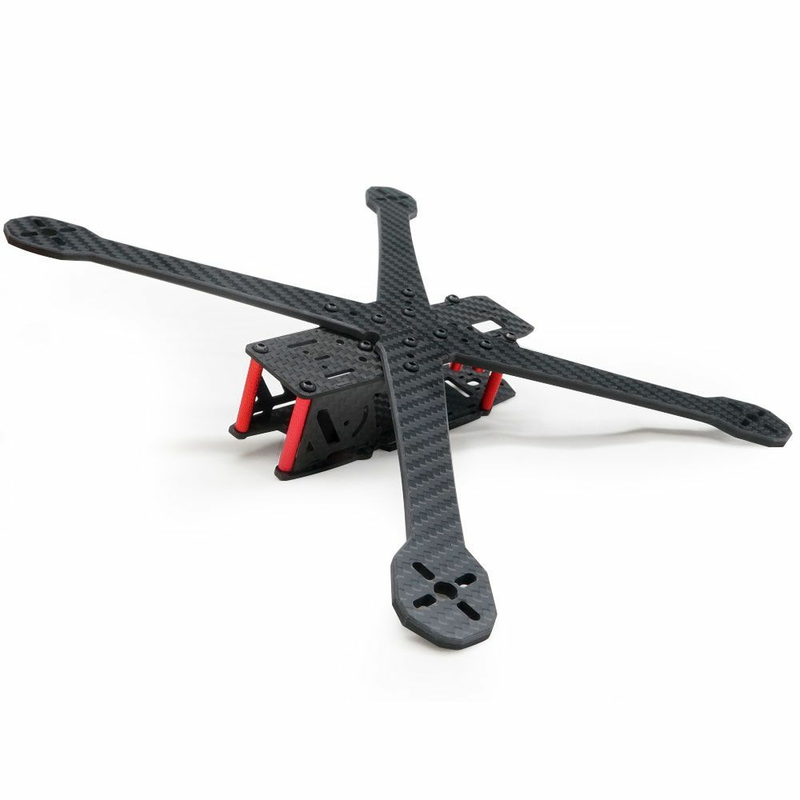 Note: We suggest the 4S 3000mah battery for it.